Going through my backlog of builds, this one was one of my favorites! 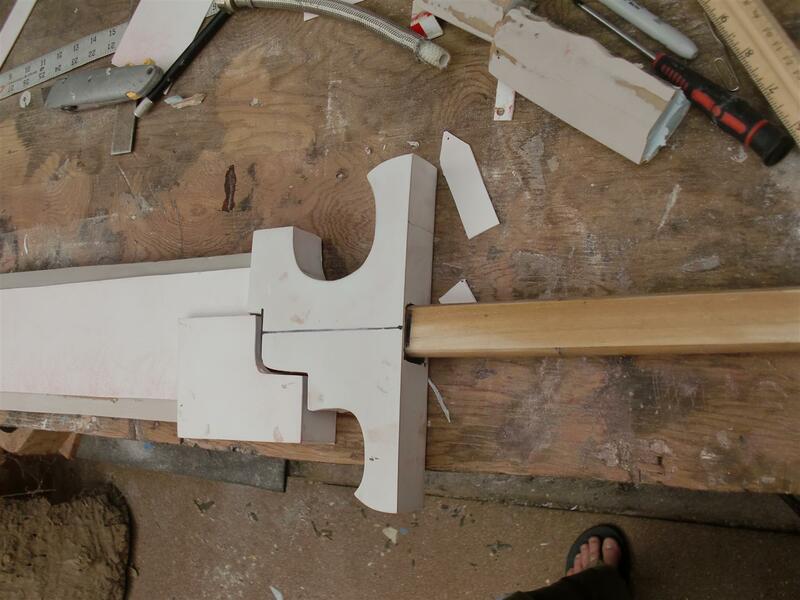 I built this sword back when I was still in Hawaii, and it was one of my very first commissions! 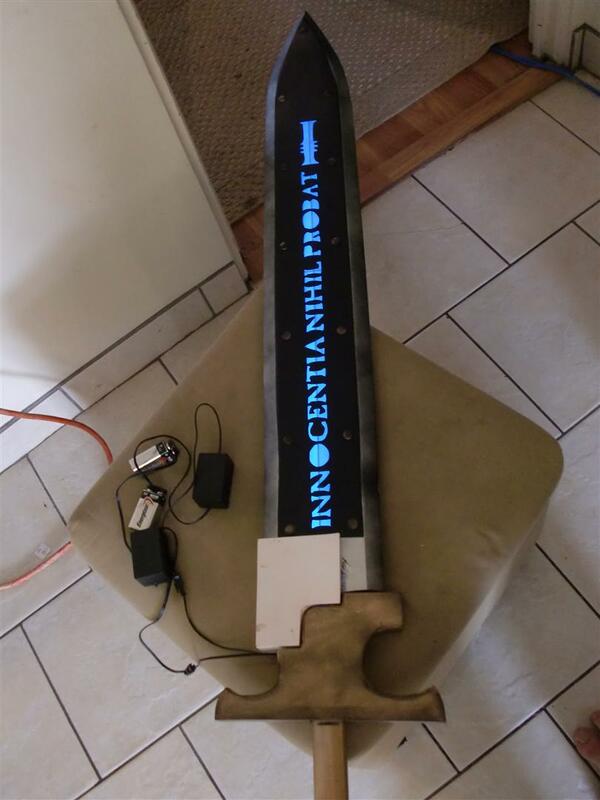 A Grey Knight Nemesis Force Sword! I can feel the nerd in me shivering with joy already. Lets get to smiting. After digging around, I found some reference art with a design I REALLY liked by Kano Kun. Simple in shape, devastating in effect. 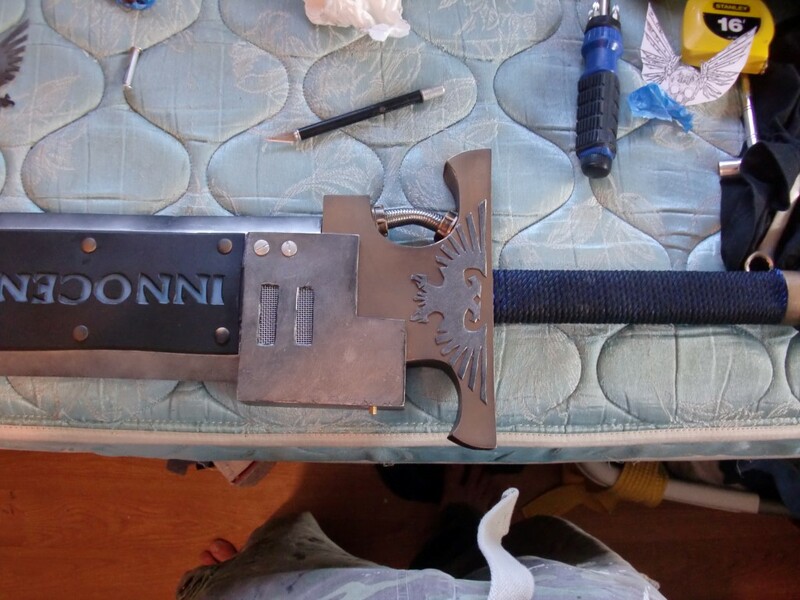 Since this was to be a 1 handed weapon, it needed to be on the lighter side so I decided to build it out of Extruded Polystyrene Foam Board. I then drew up a blade shape I liked, and got to cutting! After drawing my blade lines, it was time to get sanding! I bust out the trusty old Random Orbit Hand Sander and went to work. Foam like this sands like it isnt even there so about 20 minutes later.. It was my first time working with this material, and I didn’t fare too well in the control department. 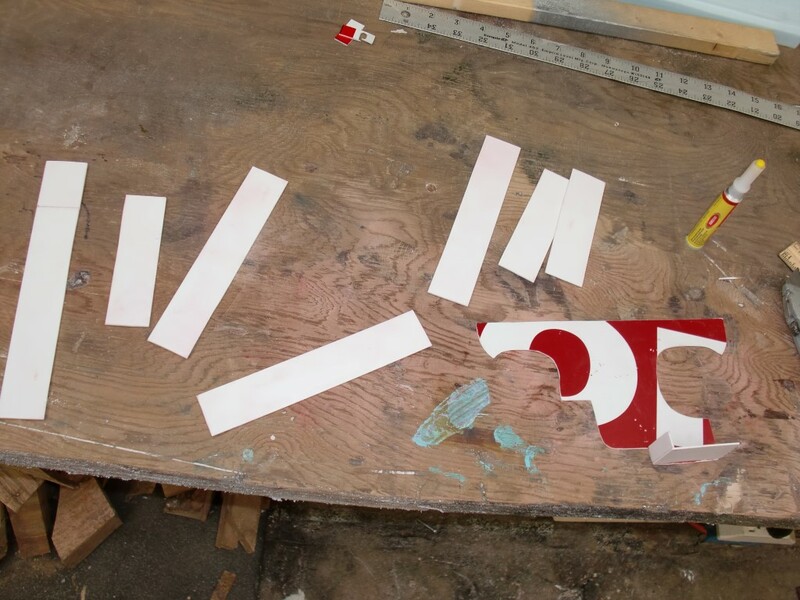 there were too many problems with the blade so I cut out another blank and redid the edges. I was using my dads shop at this point, so I had access to tools beyond even what I have available now! 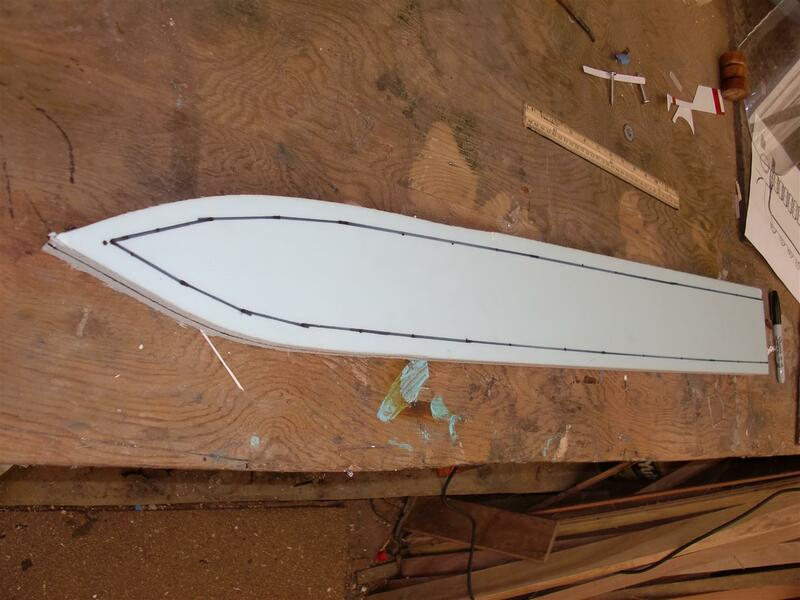 I bought a 1″ dowel rod and ran it through a planer to flatten out the sides to the width of the blade.. 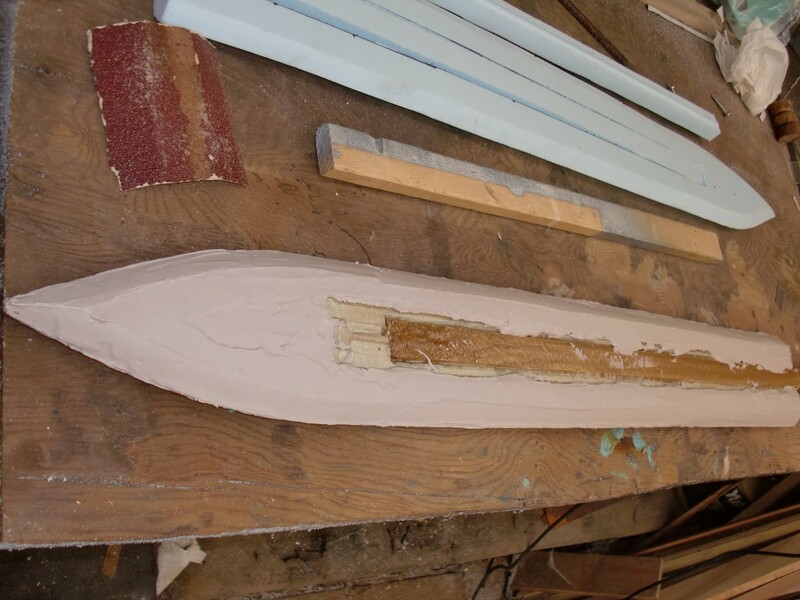 I was then able to cut a channel out of the foam blade and insert the wooden piece in, making it endlessly durable to hefting about and giving it a handle base. The grooves you see (3mm deep) were cut out of the foam using a table mounted router, possibly the only time ive ever used one, in anticipation of a step further down the line. At this point I needed to seal the foam to make it more durable. I coated one side in Polyester resin AND IMMEDIATELY REGRETTED MY DECISION. This was awhile ago, and I learned the hard way what most resins do to an unprotected foam. 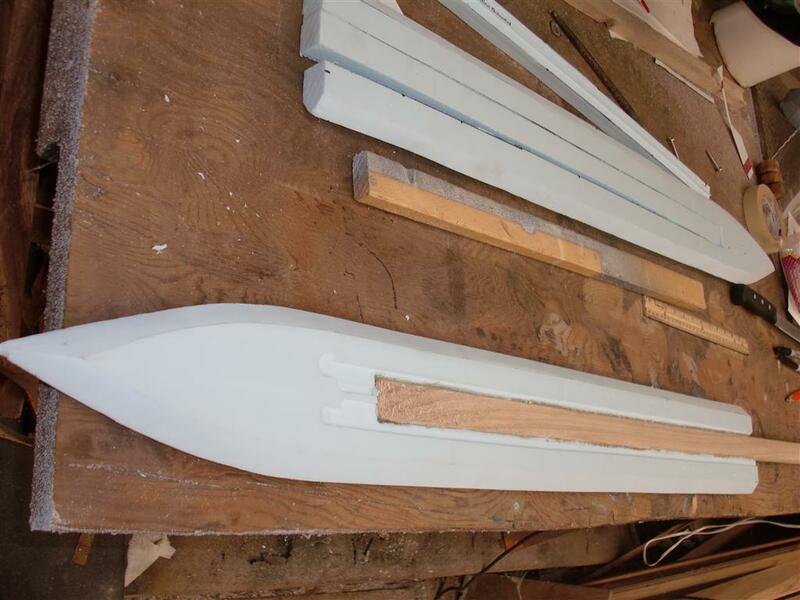 If you want to hit unprotected foam with resin, make sure it is a Marine Resin . Just plastidip it for gods sake. 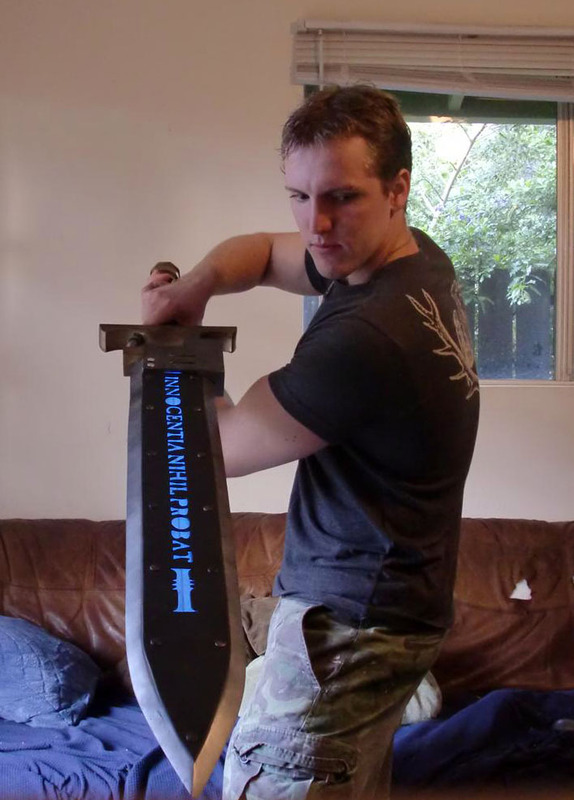 I don’t have any pictures of the blade after the resin coat (probably due to rage), but the resin had eaten huge holes into the blade, it looks like a Swiss cheese sword and smelled even worse. Faced with buying more foam or trying to fix it, I went with the 2nd option. After sanding most of the resin off and smoothing things out as best I could, I BURIED IT IN BONDO. After a number of hours with the orbital, and a hell of a lot of dust.. the blade was back to being clean and very sturdy. 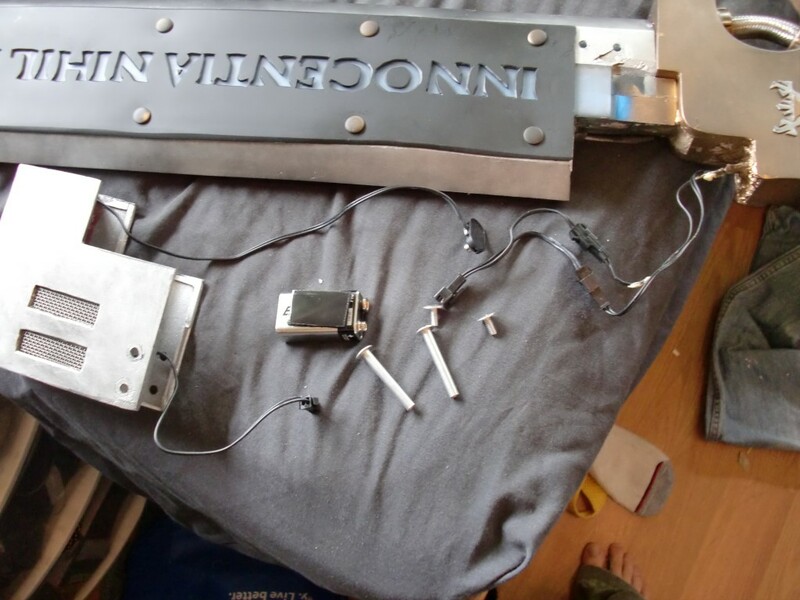 I started patterning out the base of the handle and power supply. 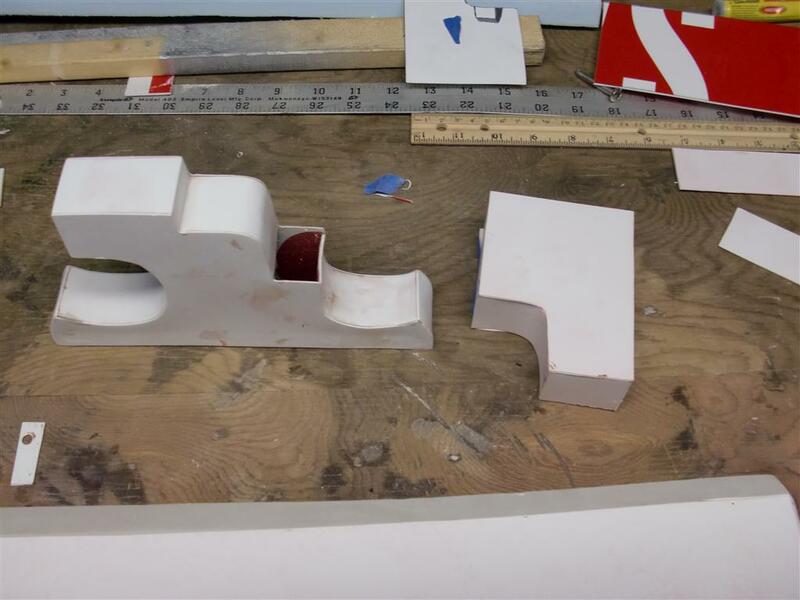 Using styrene for sale signs, I cut out the shapes I would be using to build the handle and got to work assembling its base. My dark work completed, I punched a few holes big enough to shove the handle through and slid them into place to test the fit. 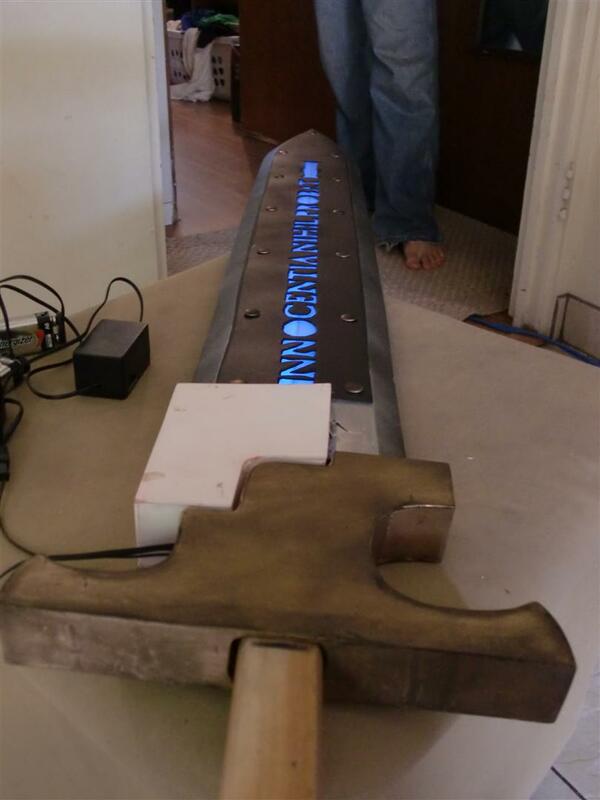 I left it removable and hollow because I’d need access to it for the next step.. adding lights! I tried to come up with an inexpensive way to get that strange iridescent effect on the blade, but decided it wouldn’t work out. 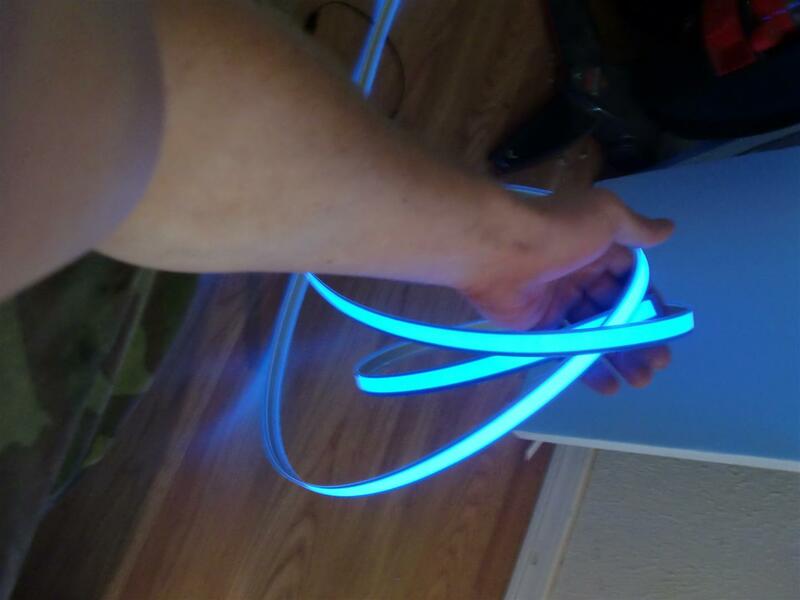 I had an idea in mind and went out and bought some blue EL tape, which is incredibly awesome easy to work with stuff if you’ve never played with it before. 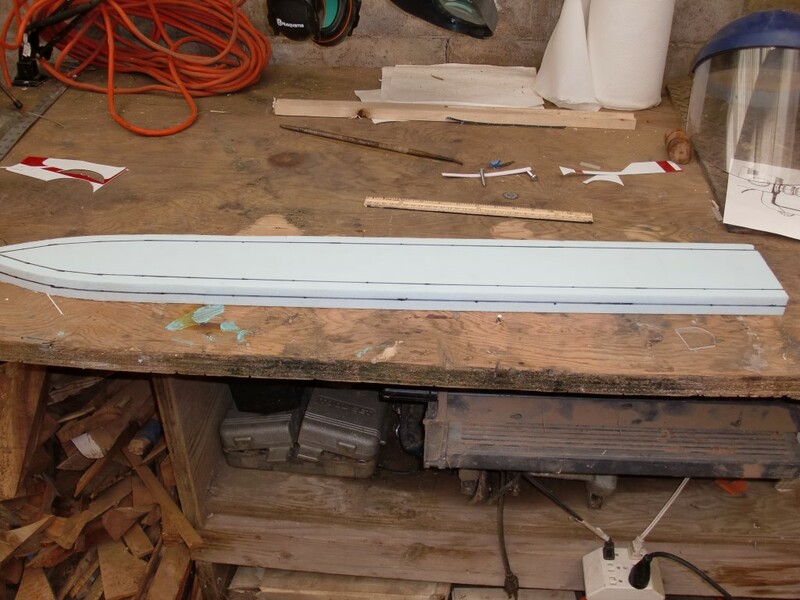 Earlier, I had routered out a 3mm depth groove the entire length of the inset handle, and into this groove I set down the EL tape and covered it in 2mm plexiglass. 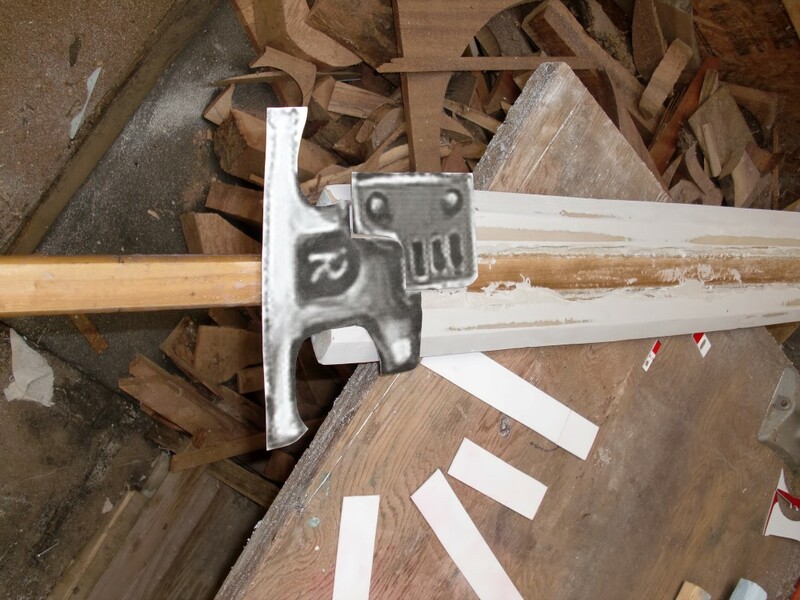 The tape goes through a slot cut into the blade at the top and wraps around to cover both sides of the sword exactly in the middle. Worked out really well for the effect I wanted! 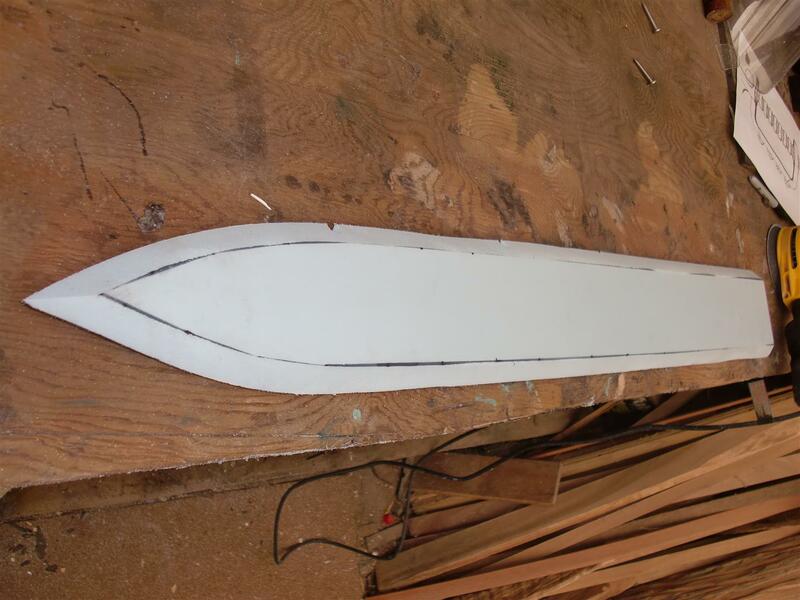 After more sanding and seam filling, I started cutting out the detail faceplate for both sides of the sword. 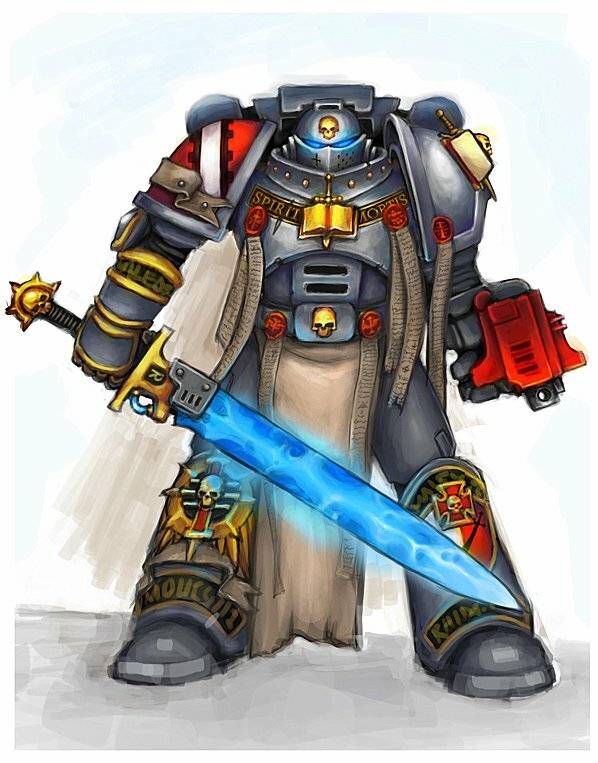 It was a grey knights weapon, so of course it needed words on it.. you know.. so the daemons/heretics had an idea of what was about to happen to them. 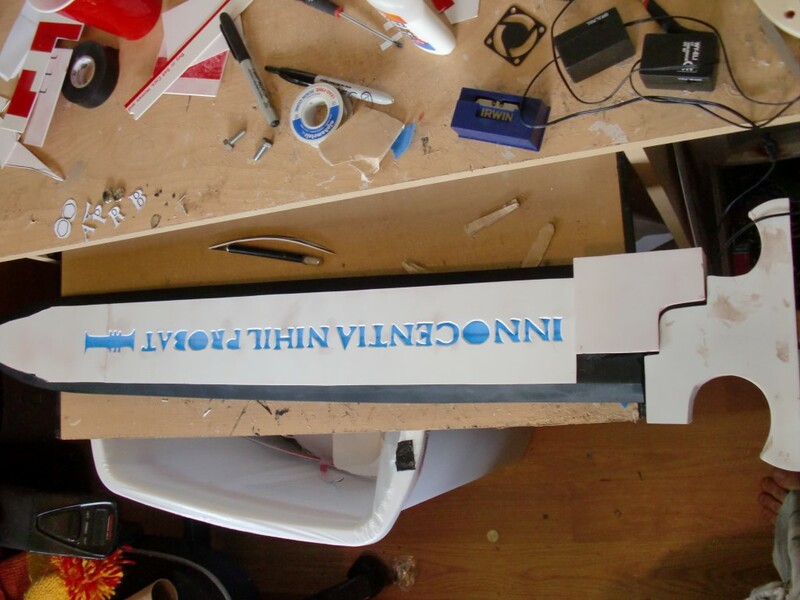 I hand cut the letters out of 1mm Styrene and beveled the edges with a box cutter. 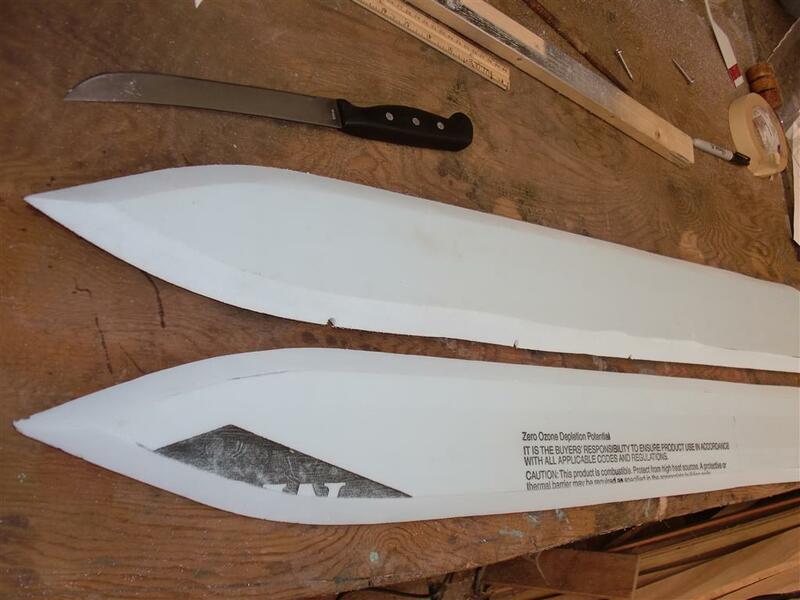 After putting down the base coat for the blade (black), I laid it down to see how it looked so far. “Innocence Proves Nothing” indeed. I painted the hilt gold, made the opposing side “Daemonicus Mortis” and started getting it all put together. The faceplates were painted black, the blade redone in silver and dusted black to look more aged. things where moving rapidly towards completion. 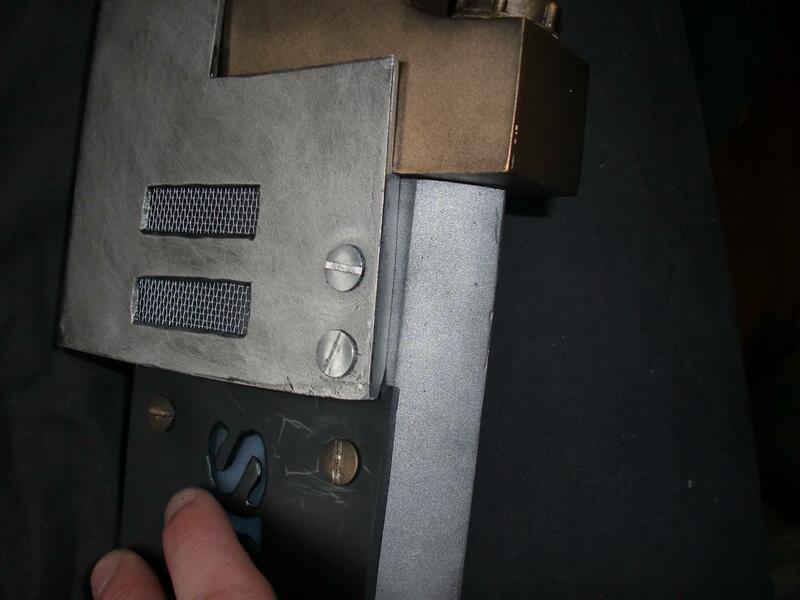 The faceplates were attached the blade with Binding Posts, which attached both sides together and allowed the faceplate to be easily removable. At this point it was time to hide the electronics. 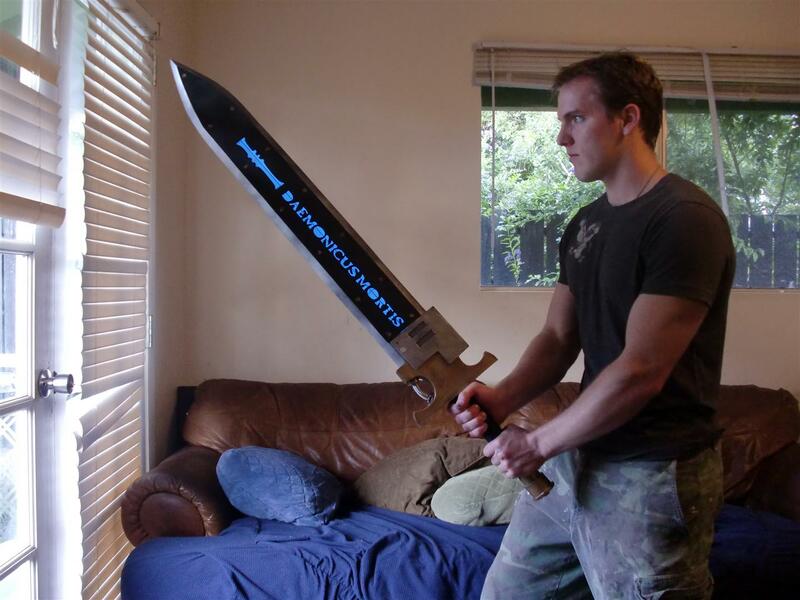 I decided the place it would all live is the “power pack” on the sword (apt, dont you think? 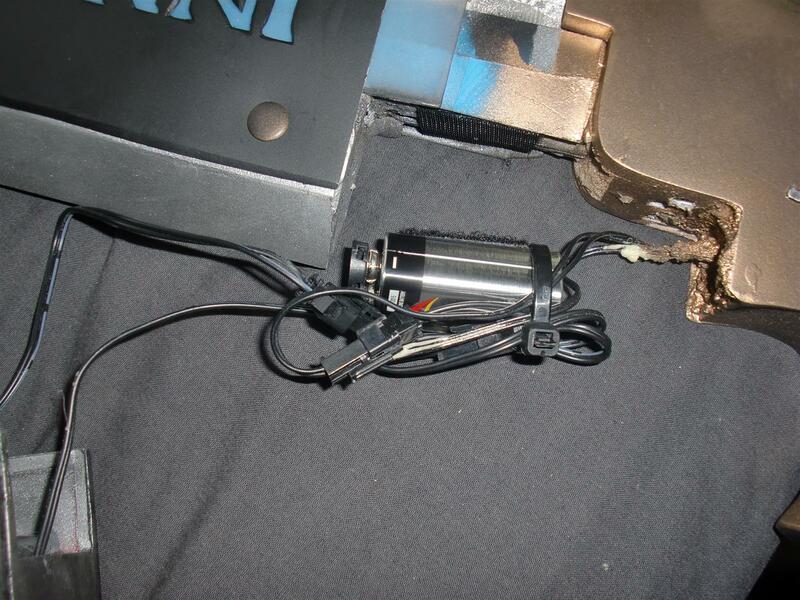 ), and cut a huge chunk out of the sword to make room for all of it inside the plastic of the power pack. The I added two more binding posts to the power pack area to make changing the batteries possible, and sealed it all up! I then added a power cable to the circular part of the handle, wrapped the grip in a dark blue nylon cord I weathered with black, cut out an aquila from styrene and it was time to start smiting the foes of the Imperium! Thanks for reading, and don’t forget to praise the emperor! Very cool! Thanks for the detailed WIP. Looks like a fun project to try.